1 The merchandise is not changeable or refundable after initial purchase. 2 Check the outer appearance to see whether there is any visual damage (-on label, PASS sticker, accessories). 3 For ensuring your rights and interests, please test if the product can be operated before installing. 4 The products do not qualify for ‘Dead on Arrival’ (DOA) status after installation. 5 Products should not be exposed to high temperatures or exposed to water. 6 Please follow official instructions and specification to ensure correct operation of the product. MKS Servos is devoted to manufacturing the highest quality products and offer reputable service. If you are testing the product prior to installation and the product does not perform as expected, MKS will replace the product. 1 Should the product qualify for DOA status (NOT including inappropriate usage), please download and complete the DOA form on this website within 7 days from purchasing date. Please bring the servo in the original package, the completed DOA form and the invoice back to a MKS authorized dealer to exchange the product. For Distributors, please download this form. 2 If returned servos fall short of terms above-mentioned, they will not be processed for DOA. The product may qualify for a RMA warranty return. See below. 1. Please download and fill out an RMA form on this website and then send the product with the completed RMA form and the copy of your purchase invoice back to MKS Company for our A/S warranty service. 2. We will not accept returned products without a completed RMA form, a copy of the purchase invoice and the serial number of the product. Consumables and accessories do not qualify for the warranty program. 3. 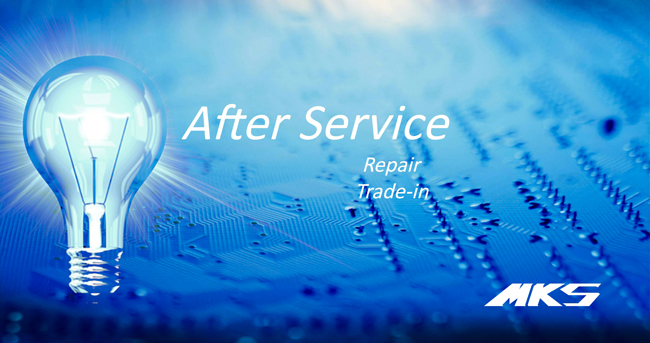 If MKS repairs or replaces the Product, the repaired or replaced Product shall continue to be warranted for the remaining time of the original Warranty period or for one (1) month from the date of repair or replacement, whichever is longer. 1. Damage caused by natural calamities, normal consumed or any inappropriate usage and installation. 2. Damage caused by soaking in water, gear abrasion, stripped gears, motor or PCB burning. 3. Products have been repaired or taken apart by unauthorized technicians. 4. The warranty label (PASS sticker) is altered, damaged or missing. 5. This warranty does NOT cover for the damage caused by self-modification or operation with non-MKS components or accessories. 7. MKS warranty policy only applies to the products sold by authorized agents. A second-hand product is not covered within this warranty. 3. The repaired product will not be warranted. *The warranty policy posted on the website above supersedes any other information when there is a discrepancy. 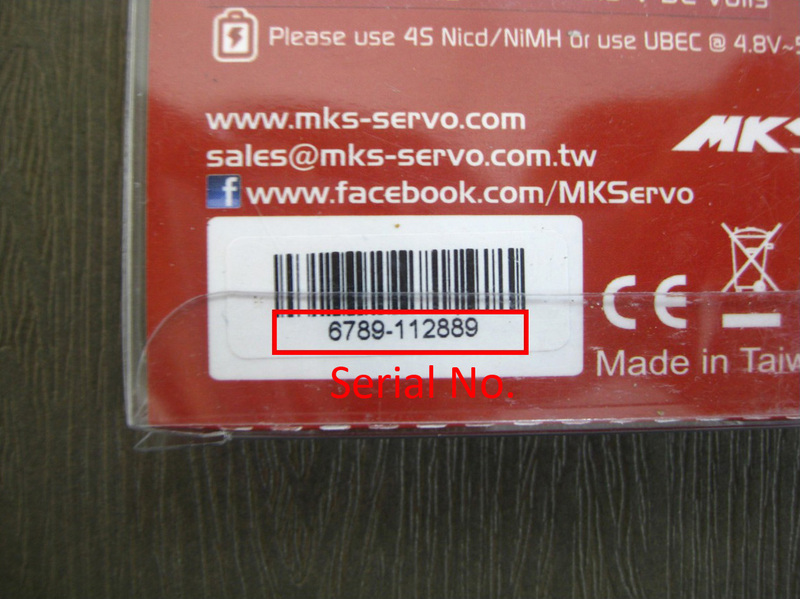 How to find out the series number on MKS products?